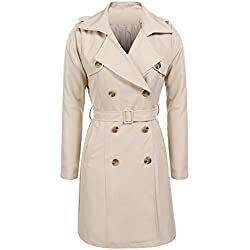 Every year, designers make a ton of new trench coats to sell to women. Each year, these styles change a little bit in order to make them different from the year before. 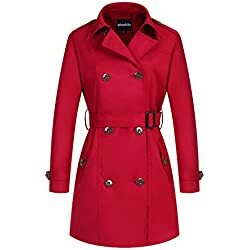 Whether it is the color or the style, coats are also updated to match the latest fashions. 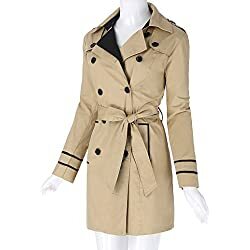 Below is a guide to the latest trends in women’s trench coats. Prints – Prints are again making the fashion rounds. Big colorful prints such as huge polka dots are springing up on coats. 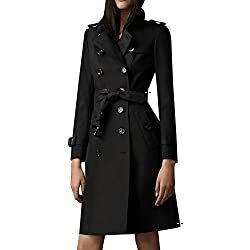 Fashionable and trendy, a trench with a large, bold print is sure to stand out. 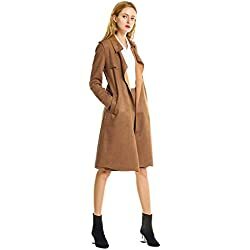 If you are buying a print and want the trench to match other outfits, try to choose one where the dominant color is more neutral like black, brown or blue. If not and you just want to wear your trench for fun, then look for a bold, brighter print. Colors – Designers have again chosen different colors this year. Because of the latest economic instability, designers have chosen more calming colors. Colors such as a lilac blue trench coat are hitting the runways strong. Also, watch out for a citrus lime and a vibrant green. Finally, for women, coats are showing up in many different shades of pink. It seems that everyone is moving back to this more feminine color to help us remember our femininity in a year when economic disaster has increased our worries and decreased our spending habits. Length – The new jackets are also shorter in length to emphasize and show off a women’s waist. The shorter jackets also flare out a bit more so they can easily be worn over dresses. 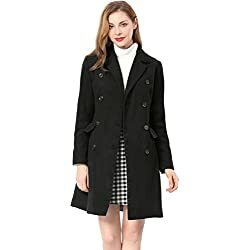 The cropped trench doesn’t cover as much as the traditional knee-length one, but it can look fantastic when paired over a long t-shirt and tight jeans or over a dress. Sleeves – The sleeves have definitely changed as well. New styles include sleeves that are bunched up almost above your elbow or short sleeves that end right above the elbow. These short sleeve coats are great for summer and provide more of a shape than longer sleeve ones. Be careful though since the short sleeves are sometimes made tighter where the sleeve ends. Women with more muscular or larger arms should stay away from these since it tends to bunch up if it doesn’t fall right. The other style is kimono type sleeves. These sleeves have a bell shape and are narrow on top and broaden out towards your hands. These sleeves are very forgiving and can be worn by everyone. The only caution is for petite women. 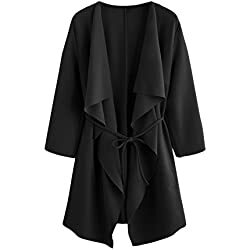 Having these big bell like sleeves could look overwhelming on someone who is smaller, especially if the sleeves don’t end at the right place. 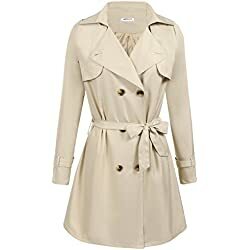 Cut – Finally, the other trend that designers are coming out with is a trench that looks more like a dress. Traditionally, the coat already has a belt at the waist, however, now, the coat flares out from the belt. Therefore, it looks like you are wearing a little skirt. The look can be fantastic when paired with a short dress or tight leggings or skinny jeans.